Ingredients used in dietary supplements are generally chosen to produce a specific effect. Some natural herbs, plants, and extracts offer multiple benefits. Hordenine is in this category for its ability to produce a range of physical and cognitive improvements. You can take hordenine to improve not only memory, focus, and concentration, but also to increase weight loss and improve strength and athletic performance. If you have tried everything to lose weight, but aren’t getting the results you want, you aren’t alone. People in the United States and around the world struggle with slow metabolism and find they are unable to eliminate excess fat. You may not think a brain enhancement supplement could help, but Hordenine is a top rated brain supplement that also offers metabolism boosting benefits. Hordenine is a well-rounded supplement that can help you lose fat, gain muscle and strength, improve cognitive functioning, and enhance athletic performance. The broad range of benefits has made this supplement popular among athletes, bodybuilders, and professional and amateur sports players. Hordenine increases metabolism and energy levels, while decreasing appetite. This combination of effects makes it very effective for weight loss. Hordenine slows digestion, which helps suppress the appetite. The best weight loss benefits are achieved with a combination of this supplement and physical activity to burn more calories. This is the reason the results are most substantial when used by athletes and bodybuilders. Hordenine is a memory booster that offers benefits for stimulating memory, energy, and improving mood. Customer reviews from people taking this supplement for cognitive benefits report less brain fog, a reduction in mental distractions, and increased attention span. This natural phenylethylamine related chemical is found in a variety of plants, most commonly barley grass. It works as an herbal MAO-B inhibitor. Monoamine Oxidase (MAO) is an enzyme that breaks down neurotransmitters and mood regulating hormones, dopamine and phenylethylamine. When combined with other ingredients, this powerful natural substance can produce a range of benefits. Stacking hordenine with phenylethylamine helps promote cognitive function, focus, concentration, and energy. 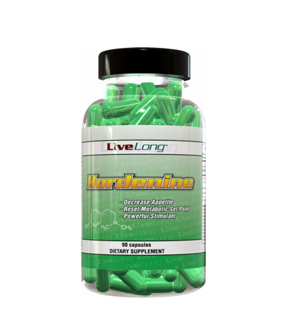 When hordenine is combined with l-carnitine, PEA, and caffeine, it produces a supplement that will boost energy and reduce fat. When taking hordenine, it is important to follow the dosage and time your doses in the way that best suits your purposes. If you are taking it to improve athletic performance or stimulate weight loss, take hordenine about 45 minutes before working out or participating in athletic activity. The ideal dosage is 30mg, three times per day. When hordenine is taken at the recommended dosage, there are generally no serious side effects. The recommended dosage should not be exceeded because taking too much can cause upset stomach, nausea, rapid heart rate, dizziness, insomnia, mood swings, or hallucinations. If you are searching for ways to increase focus and concentration, look for a reputable platform offering unbiased information, such as Smart Pill Guide. You can read independent reviews of natural supplements and learn about the ideal dosage, ingredients & side effects of the best rated nootropics.